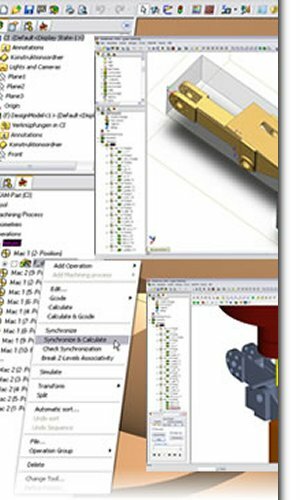 Fully networked CAD stations are located in both the design studio as well as the shop floor allowing easy access to CAD/CAM information at design and production level. SolidWorks 2007 & Power SHAPE can also be used for importing CAD data, surface interrogation and repair, identification of undercuts and minimum radii, solid modelling, jig and fixture design, tool design, electrode extraction, 2D part and assembly drawings. Power MILL's advanced strategies also maximise cutting efficiency, reduce hand finishing and produce gouge free parts. It also provides high speed calculation, powerful integrated visualization and verification facilities which allow comparison of alternative strategies, with any combination of cutting tools and the facility to check all tool paths before they are sent to the machine. As a result, machine idle time and wasted materials and resources are eliminated.